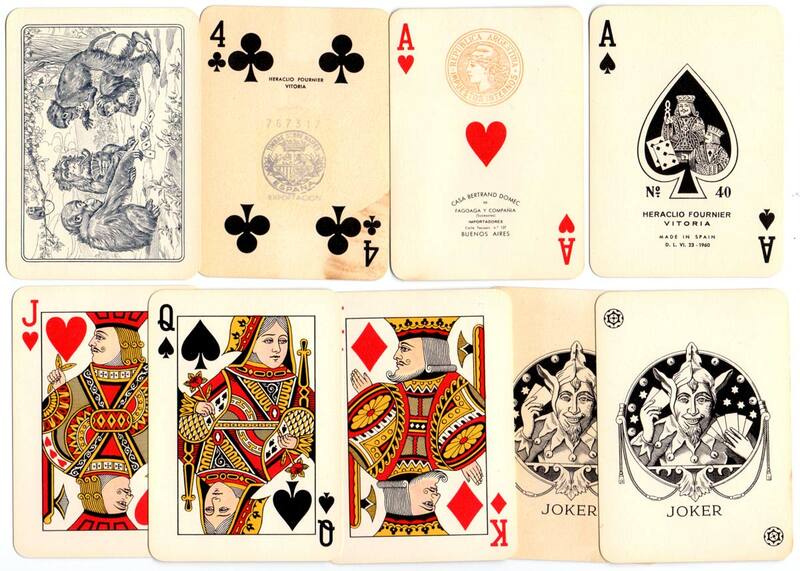 Above: Heraclio Fournier’s “Poker N°40” c.1960. 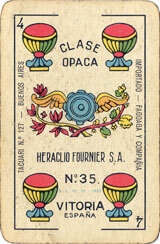 The four of clubs carries the Spanish exportation tax stamp. 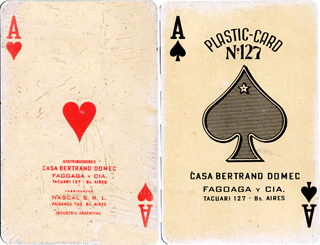 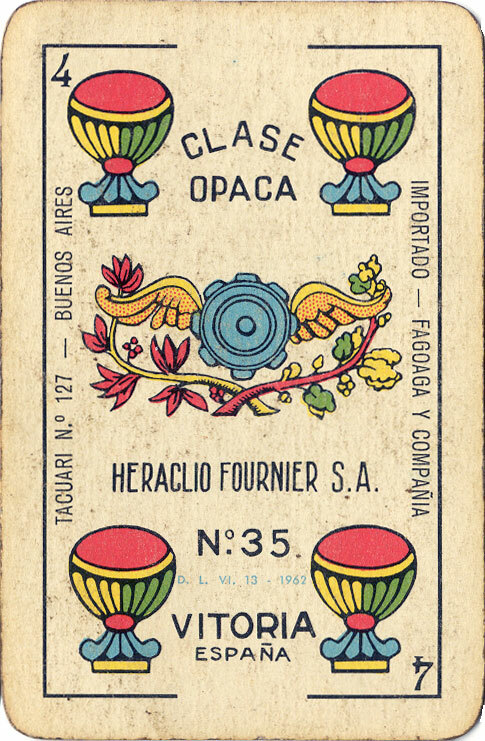 The ace of hearts has the Argentinean importation tax stamp along with the importing agent's details: Casa Bertrand Domec de Fagoaga y Compañía (sucesores). 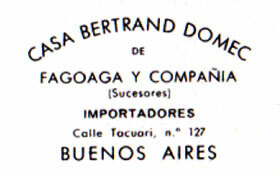 Distributed by Fagoaga y Cía (Casa Bertrand Domec), Tacauri 127, Buenos Aires.